MicroSummary: Has attention become the scarcest resource these days? 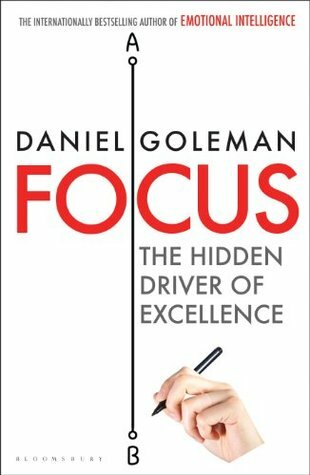 This is the fundamental theme of Focus: The Hidden Driver of Excellence, by author Daniel Goleman. The answer is simple. Yes, paying attention is a forgotten but increasingly valuable skill. As the world rapidly evolves, it becomes increasingly easy to distract, isolate, and feel lost with so much information and so much going on. Focus has three main categories – according to Goleman, “inner, other and outer.” Each one is crucial for maintaining balance and becoming a highly productive individual. Every leader must be able to concentrate on the things that don’t hinder his personal and professional growth. In this book summary, we return to the basics of attention fluctuation and reveal some insights on how to avoid being at the mercy of your mindset. Who Should Read “Focus”? And Why? Well, when a book such as “Focus” emphasizes the secret of inner-peace, then it’s virtually impossible to define a target group. We firmly believe that no person will feel the taste of regret if it spends several hours with Daniel Goleman’s modern classic. 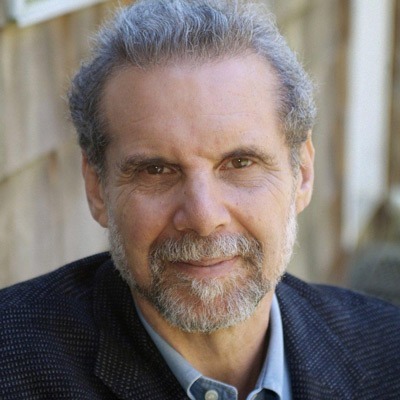 Daniel Goleman needs no introduction among book lovers. His name its deeply embedded into the new self-help culture through various enlightening books such as Emotional Intelligence, Working with Emotional Intelligence, Social Intelligence, Ecological Intelligence, Primal Leadership and others. After years and years spent in ignorance, the time has finally come to reshape our mindset. For instance, how often do you find yourself defocused from the task you are supposed to do. In general, we have a tough time focusing or paying attention. As straightforward as this book can be, Daniel Goleman outlines some practical skills that will provide you an escape from the “private” prison cell. It’s not all about productiveness, time=money; if you are spending the most limited resource carelessly, then something has to be done and quick. Being creative, and open to life, is merely a beginning, the main threat comes from beliefs which overlook the importance of focus. Have you ever worked on a laptop in a bar or coffeehouse? If so, or at least if you tried, you entirely get the big picture, of why focusing on a single task can be so demanding. You are sitting there, loud music, the bartender shouts, brings orders and so on. To handle such distractions, especially if someone triggers an emotional outburst in you, you need outside help. “Sensory” is referred to anything that is perceptive, shapes, colors, sizes, sounds and other noises. When confronting such outer disturbance, emotional outbursts can adjust to another form, more subtle and hard to notice. If you are being annoyed by things that blockade your focus and draw your attention, like being in some crowded place, you should really calm yourself. It’s not rocket science, nor something too simple to digest, in other words, if you are upset by environmental elements, you ought to shift your focus. Scientists cannot find the source of thoughts nor imagination. The “wandering mind” is designed to travel through mental concepts, if not engaged it immediately looks for a place to crush – figuratively speaking. Maybe this is the default setting, that comes something like a package deal, 2 in 1 with the body. All joking aside, when the mind is not engaged in interpreting psychological tendencies, it tends to find a perfect spot for another “adventure.” In this egoistic state, people are prone to create their own little world, where focus mainly falls on imagining the future, judging one’s self, making predictions, and contemplating thoughts. If you give up to the notion to judge your progress, you’ll immediately get in touch with the deepest level of focus. According to scientists, the human brain is somehow activated during downtime, through an area known as the prefrontal cortex. The biological significance comes secondary in this argument. What does it take to shift the nerve center completely? Self-awareness and productivity share the spotlight and the route to reaching full control over the focal point. The human consciousness is the only one which can reflect its own existence. If this sounds too complex for you to grasp, let’s go with a simple illustration. When thinking occurs, or when you become distracted by your inner voice, what is actually going on? – Are you aware that thoughts arise? – If the answer is yes, that’s the whole key. Attention, on the other hand, is the same as any other inner phenomenon. An area located in the brain’s frontal lobes, known as the insula, represents the nerve center, from which the internal organs receive commands. People with a harmonious inner state, have fully-functional insulae that acts as guidance. The insula’s indicators are a real peace-saver that are formed to intuitively support your efforts in creating value for yourself, and community. We all need such practical “friend,” regardless of the circumstances. We often think that the present world and the immense amount of information to which we are exposed can block our attention. Lots of information creates, in fact, the scarcity of attention. For Goleman, this is not the main point of this discussion. This is inevitable, and we have to get used to an ever-accelerating world. The great truth is that attention works like a muscle. If you don’t use it, it atrophies, but if you work it out, then it grows and develops. Attention is something that shapes one’s reality. Think about how your worldview is shaped by the things to which you pay attention. Everything you decide to focus on is a filter of how you see the world and learn from it. Goleman quotes the great Star Wars master Yoda in this passage: “Your focus is your reality!” It is essential, therefore, that we choose cautiously where we “spend” our attention, to determine what we want to see and be. There are two main types of distractions. Sensory and emotional distractions. Sensory distractions are external factors that stimulate our brains, such as noises, new colors, tastes, smells, and sensations. Over time, our brains are very efficient at detaching from this type of distraction, and this occurs naturally when, for example, you study and listen to music. Emotional distraction occurs when, for example, we hear our name, have a problem in our lives or end a relationship. Those who have a focus more immune to emotional turmoil are generally less shaken by crises and keep their lives on track during this time. We need to be able to deal with these two types of distractions to keep our attention focused. If you have focused attention, the brain connects the information we already know to the new information, creating new neural connections. When we are not focused, our brain does not make these connections, which impairs the retention of knowledge. The more distracted we are, the less content we capture because our brain is unable to make the connections between what we already know about a particular subject and what we do not know about it. When we read a book (or a summary of 12min), our brain creates a network of paths that unites ideas and experiences. To be able to read deeply (the so-called deep reading), one must have constant concentration and be immersed in the subject. You will not achieve great results in your learning by jumping between facts about subjects and various contents. The brain has two semi-independent mental systems, and each has its own characteristics. One of them works from bottom to top (bottom-up mind) and another that works from top to bottom (top-down mind). Understanding this functioning is essential to developing your focus and knowing which area is working in each moment. It is fast and needs little energy to run, so most often it takes over. Top-Down Mindset: Our consciousness resides here, where we have control and manage it through our intentions. These mental activities occur in the neocortex; Monitor and can, somehow, direct the top-down mind. Therein resides self-control, our ability to overlap the thoughts of the bottom-up mind. It has developed hundreds of thousands of years after the bottom-up mind, giving the human being the ability to reflect, get to know, decide and plan. The purpose of your brain, when confronted with a new stimulus, is to distribute mental tasks between the two systems above with the least effort possible and to have the best result. The more we develop a skill and turn it into a habit or a routine, the more it is passed from the top-down mind to the bottom-up mind. 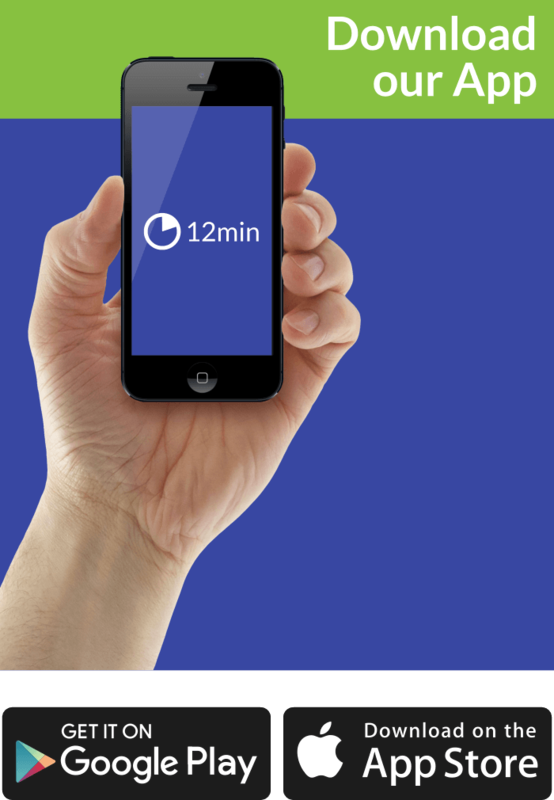 Ever heard of athletes who do an exercise so many times that it ends up in the muscle memory? In fact, the phenomenon that occurs is that the brain is leaving this repetition more and more automated. This automation releases our attention so we can learn new things and develop ourselves. Therefore, one of the secrets of developing your focus is simply to turn your core activities into habits and get your bottom-up brain to assimilate them. The more you expose your brain to more information, your ability to control it is reduced. The more distracted you are, the more prone to mistakes, mental fatigue and stress. The bottom-up circuits absorb habits quickly and quietly during the day and although this is useful if you have good habits you want to develop if you have a bad routine and many distractions, this system can also assimilate these situations and understand them as routines we create unconsciously. There are many pitfalls to your bottom-up mind, often even used by advertising campaigns. Remember that model smiling at the beverage commercial? Yes, the idea is that you associate this with the habit of drinking and, thus, drink more. It is not always useful to have single or all your attention devoted to only on one goal. Keeping your focus open and keeping your thoughts drifting also plays an important role. But instead of drifting toward something lost, it is always possible to move toward things that are valuable and from there come great insights. Obviously, it is getting harder to have time to be alone with yourself, relax and reflect, but it is very important that you have these moments as they are able to dramatically increase your creative potential and your imagination. For simple tasks that require little focus, such as enveloping letter envelopes, it pays to let your mind drift and make room for ramblings. Of course, for many, this can be challenging. People accustomed to extremely busy routines, executives, and information professionals often find it difficult to detach themselves from the subject in focus and explore new ideas/possibilities. One technique cited by Goleman to solve this was adopted by Peter Schweitzer. He worked with encryption and always found himself in intense data analysis situations to uncover combinations and encrypted secrets. This is a task that requires a lot of focus. However, he decided to perform these activities while walking, to have more external stimuli and to work other areas of the brain. There are also people who have great difficulty concentrating and who keep their brains adrift, with a strong willingness to ramble. They are more spontaneous and have interesting skills, such as the ability to improvise and make connections between areas farther from the brain. Many rappers are in this category, for example. In some cases, this may be the result of a condition called Attention Deficit Disorder or ADD. To develop your creativity, you have to go through three main steps: Guidance – when you look outside and look for all kinds of information that could help you; Selective attention – when we specifically focus on the challenge we want to solve; Understanding – when we associate the information freely to let the solution appear. In today’s world, where almost everyone has access to the same information, the value created comes from synthesis, the ability to combine ideas in new ways, solving high-impact problems. The ability to ramble leaves your mind free to make these combinations, while a busy schedule full of commitments closes you to these possibilities. A Harvard study, called “The Power of Little Wins,” found that the best ideas flow when people have clear goals, but also the freedom to know how to reach them. If you want to be creative, it is important to always give your brain this time to think freely. The most important thing is to have several small wins in the way of your goal and to iterate until the problem is solved. It may seem difficult to accept, but what distracts us most is not the people around us, but our own mind. In order to concentrate, we must be able to silence our internal interruptions. To achieve this state, Goleman recommends the practice of the mindfulness philosophy. The premise is simple: when we turn to our senses and focus on perceiving them all the time, the noises in our brain are silenced and the mental circuits quiet down to the personal issues that distract you. Your brain lives a constant conflict between rambling and realizing exactly where you are at that moment. If you use your energy to ramble, your perception of the world at that moment is reduced. However, if you focus on perceiving your environment and the stimuli of the world, your brain abandons the ramblings. It is important to find your balance point and ensure that your thoughts and performance are meeting your goals. If your brain maintains constant focus for too long, then it gets tired, and you can get to the point of cognitive exhaustion, becoming unable to learn. The main signs of cognitive exhaustion are: drop in productivity, irritability, and lack of energy to think. To restore your mental energy and always keep it at a high level, you need to switch between voluntarily focused attention and allow the mind to relax and wander. To achieve this middle ground, from time to time, do something relaxing, take a walk, play with your children, do something that does not require a great concentration. Achieving your goals is something that requires hard work, focus, and sacrifice, that is willpower. Willpower, according to research cited by Goleman, has a high correlation with professional success. To develop your focus, you will need to develop your willpower and the most effective way to develop it is to do what you love, something aligned with your inner voice. Your willpower increases if your work reflects your personal values. Steve Jobs has always advised that we should not let other people’s voices erase our inner voice. We must also follow our hearts and intuition, for they know what we want to be and where we want to be, he said. Our irrational feelings and biological reactions to information are bottom-up circuits that simplify our decisions, guiding our attention among the best options. The better we become at reading these stimuli, the better our intuition becomes. We need to get to know ourselves to evolve our focus. Emotional resilience comes into play as we recover from the setbacks of life. Highly resilient people have their left prefrontal brain area, part of our most developed top-down mechanism, to prevent emotions from sequestering their thinking ability. Developing yourself as an individual is essential if you are to become emotionally resilient. You can do this in two ways, both of them focusing on understanding how you operate. The first of these is self-knowledge. If you can understand your strengths, weaknesses, and your likes, you will be able to work on these qualities to develop emotionally. The second is to use metacognition. If you understand the processes that lead you to learn new things and the processes that hinder you, you will be able to stop problematic mental habits. Empathy has two main forms, cognitive empathy, and emotional empathy. The first enables us to see the world through the eyes of others and put ourselves in their place. Cognitive empathy helps us understand other people’s mental state and why they act in a specific way. It allows us to observe, for example, whether a person is happy or sad just looking at their expression. It is a recognition of empathy: we understand, but not necessarily sympathize with the cause/feeling of the person. Psychopaths, for example, use this kind of empathy to manipulate people according to their interests. Emotional empathy allows us to feel what others are feeling. It is a physical phenomenon that makes us feel sad and happy from a stimulus from another person. This kind of empathy is based on the actual sharing of feeling with the other person. Understanding how empathy works is essential to develop our ability to focus, because the more empathy we have with the other person, the more she feels we care and the more she feels heard. However, there are times when we need to isolate ourselves from the emotions derived from empathy to stay calm and focused on what needs to be done, even with emotional complications. The human being is a creature who, by nature, thinks in the short term. We have the habit of focusing on the immediate and forget the long term, dismissing a systemic thinking model, in which we have a vision of the whole. This predisposition is innate and comes from our bottom-up mind. It is necessary to train our mind so that it always takes into account this wider context because when we try to solve a problem focusing only on the short-term result, we arrive at partial and temporary solutions. An interesting example of this adopted by Goleman in the book is the problem of traffic jams. The short-term solution is simple, just increase the width of the roads. But in the long run, traffic jams happen again, and mass transportation is no longer viable. Our incomplete mental model of bottlenecks exists because we do not take into account the systemic dynamics of transport as a whole. Our perceptions and mental models are derived from the skills that helped our ancestors to survive in the jungle, relying on local thinking and, most of the time, do not work to understand the systems of today’s world. If we rely only on them, we run the risk of being the frog in a pan of boiling water. We will die cooked, without understanding why! Focusing on the broader context of any problem enables us to think not only of the immediate effects but also of the distant future. 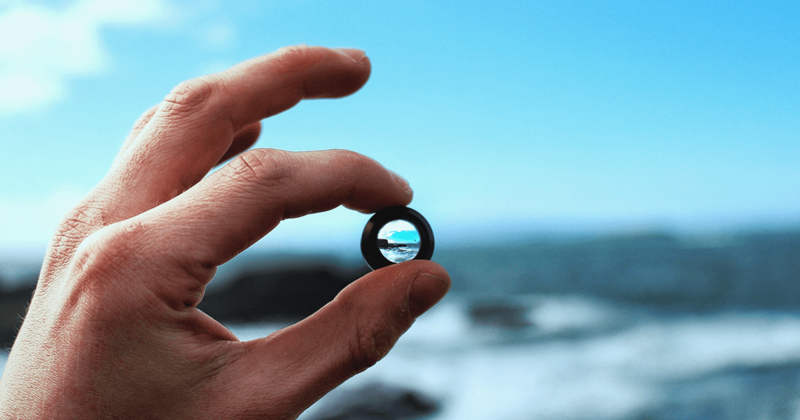 In order to lead, “maintaining focus” is an essential skill, and in this case, focus means not only the leader’s focus but the ability to direct the followers to the right path, which is aligned with the organization’s goals. For a leader, knowing how to direct is even more important than your professional qualifications or your IQ. Successful leaders have self-knowledge and know how to capture the attention of their people. They also know that to give direction to them, and the direction must have meaning. Successful leaders are always seeking new information because they need to understand the system where they act and have a great synergy between their emotional reality and that of the people they seek to inspire. One of the biggest challenges, in this case, is knowing how to listen, which is a characteristic related to emotional empathy. Today, not knowing how to listen is almost an epidemic in companies, and to lead, we need to talk less about ourselves and pay attention to what matters to others and to the group. Also, good leaders also know that their followers look up to where their attention is. Explore outside of the current focus: The ability to detach from the current focus to seek new possibilities; In order to be able to switch between the two, it is necessary to know whether to disconnect from the organizational routine and thus allow your company to develop its ability to learn. It is also essential that the modern leader be able to communicate the impact and significance of the company’s focus. Inspiring leaders strive to empower and contribute to their employees and the community. A good leader always focuses on identifying and developing the potential of others. The Brownies Greyston Bakery Factory, located in a poor area of the Bronx, New York, has an inspiring story. It only hires people who can not find work and would not normally be accepted by the job market. They have a slogan that communicates their purpose, their meaning to the world: “We do not hire people to bake brownies. We roast brownies to hire people. ” Leaders who lack empathy are unable to see their impact on the lives of others and the system where they are embedded. What Makes You a Good Leader? Once you have acquired empathy, self-knowledge and are able to influence people, how do you stand out and be sure that you have become a good leader? In practice, it is being able to mentor and advise your mentees with mastery. Knowing that celebrating wins, laughing, having fun with your team is not a waste of time but a great tool for developing yourself emotionally. If you are a leader and adopt these practices, you will probably develop a team with high performance and alignment. A good team is focused on developing self-knowledge of its members and bringing up discussions before they explode. It is the leader’s role to create this environment by fostering group intelligence and creating a sense of trust and confidence in its members. In addition, to ensure the harmony of your team, Goleman also recommends that you meet your team periodically and talk frankly about the dynamics of the team, so the group understands and decides what changes should be made. Scientists have proven after long and extensive research that no single area of the brain has the power to handle the system recognition exclusively. In fact, the mind fully depends on the brain’s parietal cortex to observe the thinking patterns as a whole. Do you know that we differ from one another regarding navigation? In reality, this is not an inherited skill nor has something to do with intelligence. It’s rarely a mastery, and it signifies the power of absorbing spontaneous knowledge by staying focused during first-hand experiences with a system. To become the master of all creation and to rarely fall out of balance, (emotionally) you need to be aware when your focus drifts around. Although that’s easier said than done, it’s a feasible process, that will give you an advantage in any environment. It probably doesn’t come as a surprise, but your inner world reflects or manifests everything you express on the outside. Your mental sickness is the cause of lacking focus, and endangering the creativity, you put in your daily endeavors. A good leader manages to direct his/her team to achieve audacious, meaningful goals. For this, he/she needs self-knowledge and to really care about his people.